Michigan DUI and your Drinking – Is it a Problem? 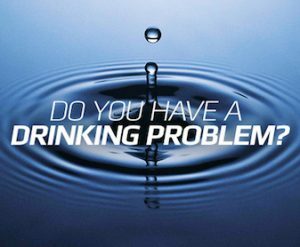 It is an established fact that DUI drivers, as a group, have a statistically higher incidence of drinking problems than the population at large. In this article, I want to take a kind of private look at how this may apply to you, the reader. I want to concentrate on how and why a person facing an OWI (Operating While Intoxicated) charge may look inward and question whether his or her relationship to alcohol has become risky or troublesome. In my role as Detroit-area (Wayne, Oakland and Macomb County) DUI lawyer, I have written a lot about how an important part of my job is to protect my clients from being perceived as having a drinking problem they don’t, or having one more serious than is actually the case. These are valid concerns because there is a very real built-in “alcohol bias” in the court system. None of this, however, is the least bit helpful to anyone who knows, suspects, or even just wonders if his or her drinking has become problematic. Because of my clinical background and training, I can help explore this subject far more thoroughly than if I was just another lawyer. At its simplest, there are 3 kinds of drinkers in the world: 1. ), those that don’t think they have a problem, 2. ), those who wonder if they do, and, 3. ), those who know they do. It goes without saying that most people who drink do NOT have a problem with it, so the vast majority of those who don’t think they have any kind of problem are correct. Denial, however, is an early marker in every case of troublesome drinking, so this means that some of the people who don’t think they have a problem actually do. How to unravel that denial can become the work of a lifetime, and to date, no one has found a way to help someone with their drinking who isn’t otherwise “ready,” so we’ll leave that topic behind and focus, instead, on those who wonder if, or already know, that their drinking has become a problem. Because of my specific educational background (beyond law school, I completed a post-graduate program of addiction studies) and the DUI focus of my practice (I handle a ton of drunk driving cases), I work with plenty of clients who either know that they need help or are otherwise at least open to talking to someone about their drinking. You might think that would make my job easier, because it would seem like I could just skip the work involved in protecting them from being treated by the court as if they do have a problem, but that’s not the case. In fact, over-diagnosis, both in terms of finding problems that aren’t there, and assessing alcohol problems as having problems more serious than they really are, is widespread both within the clinical world, and even more a problem in the court system. Part of the problem within the court system is that the assessment of a person’s drinking (i.e., the diagnosing) is done by a probation officer, and not an actual clinician. Although it is more convenient for the courts to do it this way, having a probation officer (PO) screen a DUI driver for an alcohol problem is decidedly non-clinical. As crazy as it sounds, this isn’t much different than if the PO was expected to screen someone for depression or some other mental health disorder. In the context of any DUI case of mine, I am thankful that I have the clinical knowledge to make sure my client doesn’t get ordered into any unnecessary treatment, or otherwise forced into some kind of “help” that isn’t a good fit for him or her. That said, let’s circle back to looking at your relationship to alcohol. As a very general observation, among those dealing with a DUI and who are open to the idea that may have an issue with drinking, it tends to sort itself that 1st offenders mostly tend to wonder if or think they “may” have a problem, 2nd offenders more or less know they do, and 3rd offenders understand that there’s no way to deny it (at least to anyone else, even if they’re still in denial). Of course, there are all kinds of exceptions to this. For example, there is no shortage of people facing a 3rd offense DUI (felony) who don’t think they’re anything other than unlucky, while, conversely, plenty of 1st offenders who have been privately struggling with their drinking see a DUI arrest as the last straw. The seldom spoken truth is that most of us have, at some point in our lives, had too much to drink before operating a vehicle. This means that some people who don’t drink a lot and also don’t have any problem with alcohol will be unlucky and get caught driving over the limit. Still, the more you take the chance, the more likely you are to get caught. According to Center for Disease Control (CDC), the Federal Bureau of Investigation, (FBI) and Mothers Agains Drunk Driving (MADD), the average drunk driver has driven under the influence 80 times before getting caught. What matters more, frankly, is what YOU think. In the real world, it’s pretty much the case that by the time anyone begins to wonder if their drinking is normal or not, it’s usually not. That’s certainly not any kind of hard and fast clinical guideline, but people don’t tend to start wondering because their drinking is working out too good. Has anyone ever really worried that they’re too healthy, too rich, or too successful? (CL): I figured it might look good in my case, and also, I wouldn’t mind talking to someone about my drinking; maybe cutting back a little. (LW): So I hear you saying that maybe your drinking can sometimes get a little out of hand, or be a bit troublesome? (LW): So you’d probably agree that what we’d call “normal drinking” wouldn’t usually leave you wondering if maybe you shouldn’t drink less, or lead to a DUI? (CL): Yeah; I mean, I don’t that I have any kind of problem or anything, but I figure it can’t hurt to talk to someone, right? (LW): Oh, I agree. One of the main characteristics of being a “normal drinker” is that it doesn’t create problems for the person who drinks. It never hurts to look at your situation with someone who can help you figure out whether there’s something there or not. In the example above, there were no accusations, and at no point would anything the lawyer said have elicited a defensive response from the client, perhaps causing him or her to double down on the denial. Instead, the client was allowed to reach his or her own conclusions, and is primed to follow up on the idea that his or her drinking may have grown problematic, to some extent. There is, however, a window of time after which the person may lose any momentum to want to talk to someone, and then fall into a “let’s see what happens” state of inertia, and later, back to drinking, with yet another promise that he or she will just try harder and that things will be different. In some cases, the client comes in already knowing that his or her drinking is a problem. Perhaps this is the person’s 2nd DUI (or even his or her 3rd). Here again, one must resist the temptation to “pile on” because it’s normal for people to be more inclined to this kind of thinking soon after an arrest. Often enough, there are people at home telling the client that he or she has a problem, and/or to get help. Just as in the example above, it is important to steer the client to his or her own conclusions, and then follow that up with a competent referral. We never want to send someone away feeling like they’ve been challenged to prove that they can get a handle on their drinking just by trying harder. That never, ever, EVER works. This is where I can really help a client, because there is a lot more to this than just handing someone a card for some counselor and saying, “call this number.” In the first place, the fact is that there are many ways to get sober. There is no single, magic method that works for everyone, although there probably is one method that works best for any individual. In other words, what works for you may not work for me, and what works for me may not work for you, or the next person. Everyone is different, and, contrary to what many people think, there is no one recovery process that’s best. The key is to find the kind of help that works best for you, and that even that may be different at various points in your life. I generally use a very small circle of substance abuse counselors who are far more “holistic” in the sense that they are not fixated on any one recovery process or school of thought, but rather understand that each person is unique and that it’s important to find the kind of help that’s right for them. Consider this: everyone knows about AA (Alcoholics Anonymous). AA is a great program, and many people find it helpful, especially early on in their recovery. However, most people who get and stay sober do not remain active in it. Some people involved in AA think of it as the best, if not the only path to sobriety, and truly believe that a person must always attend meetings, going so far as to deride non-drinkers who no longer attend meetings as “dry drunks.” That kind of antiquated thinking is dead wrong, but it also exists, and can be very counter-productive. If there is one absolute in the world of recovery, it is that there are no absolutes, beyond the idea that getting sober is mutually exclusive to ever drinking again. The counselors I use are all have this broader mindset. For all the clinical and other highbrow considerations we can throw at this, it still comes back to that uneasy feeling in your heart of hearts that something just isn’t right. Whatever else, denial is a tactic to quiet those thoughts. In other words, a person can’t be in denial over something he or she is not thinking about. Denial starts as a reaction to uneasy thoughts or feelings about something. That general idea we spoke about earlier – that if you’re wondering if something’s a problem, then it probably is – carries a lot of weight. There’s an old saying that holds, “anything that causes a problem is a problem.” I’d venture that, in the history of the world, no one who has ever wondered whether his or her drinking is a problem subsequently learned it was not. In other words, if you’re thinking about it, it’s beyond the stage where something may or may not be wrong, and the better inquiry is directed at what to do about it. So what’s the grand takeaway here? None, really, other than, if you’re facing a DUI and you think you’re drinking might be a problem, it probably is. There is no magic solution here. In fact, if there’s anything to avoid, it’s the idea of a magic solution. Instead, we need to be practical. We need to talk. Even if we can’t find the perfect fit right out of the gate, we can probably eliminate a lot of things that won’t be. You may not like groups, so any kind of group counseling or meetings should be ruled out before sending you off to some kind of therapy you’ll hate from the get-go. Amongst all the options available, I believe in starting small, and can help you figure out what to do next. Beyond just handling DUI cases in the courtroom, I can help in the conference room, as well. If you are facing a DUI anywhere in the Metro-Detroit area (Macomb, Oakland or Wayne County), I can help. All of my consultations are confidential and done over the phone, right when you call. You can reach my office Monday through Friday, from 8:30 a.m. until 5:00 p.m., at 586-465-1980. We’re here to help.